In this tutorial, we’re going to talk about the brain of your Hopper: the Config. 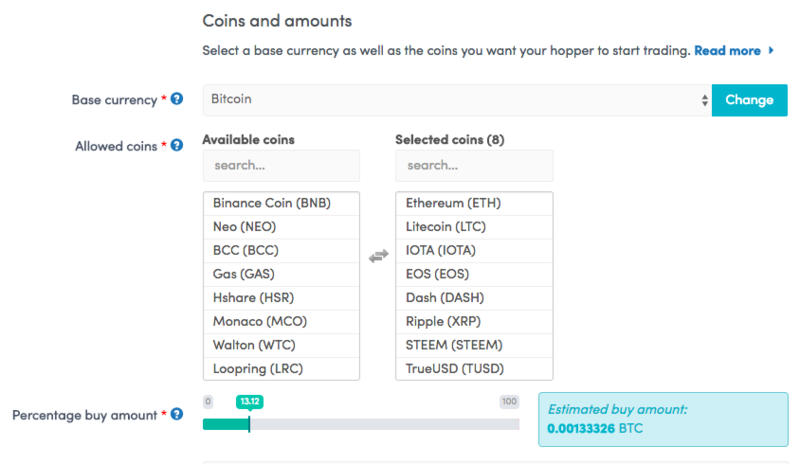 You can either set a configuration for all of your coins or set up coin-specific configurations. We call these "Config Pools". For each chosen coin, you can have a different trading strategy. The configurations in your "Config-pools" override your base config. If you just want to test if your bot works without trading, disable the "Live bot". Your output will show what your Hopper is trying to do (including possible errors) even if the bot does not make real trades. Note: Turning this function off does not mean the Hopper will perform imaginary trades. 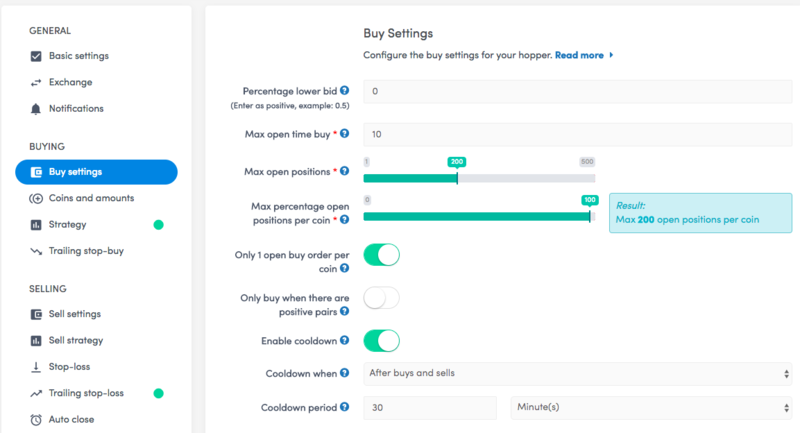 It picks up on the order book of the exchange but will not execute with your funds. Choose the exchange of your choice and paste the public and secret API key. If you are using Kraken, you will need to paste 2 API keys with a nonce window of 1 million, as told in the first lesson. Select the currency you’ve funded your account with. We recommend using fiat currencies like US Dollar or Euro if you’re new to trading with our Hopper. It’s easier to make a profit with a stable currency compared to volatile ones. If your exchange only accepts cryptos, you can choose USDT as well. This is a cryptocurrency back by the US Dollar. One of the most important choices. Which coins are you going to invest in? Please choose them wisely. Only invest in coins you’ve researched and you believe will keep their value or appreciate. We’re not responsible, so it’s totally up to you. Remember, the Hopper is the tool that works for you and you are the captain. We have multiple strategies and we will keep adding new ones. Check out our Documentation for a listed overview of just about anything you want to know about your hopper! If you’re a pro and you know what you’re doing, you will want to customize your technical settings. 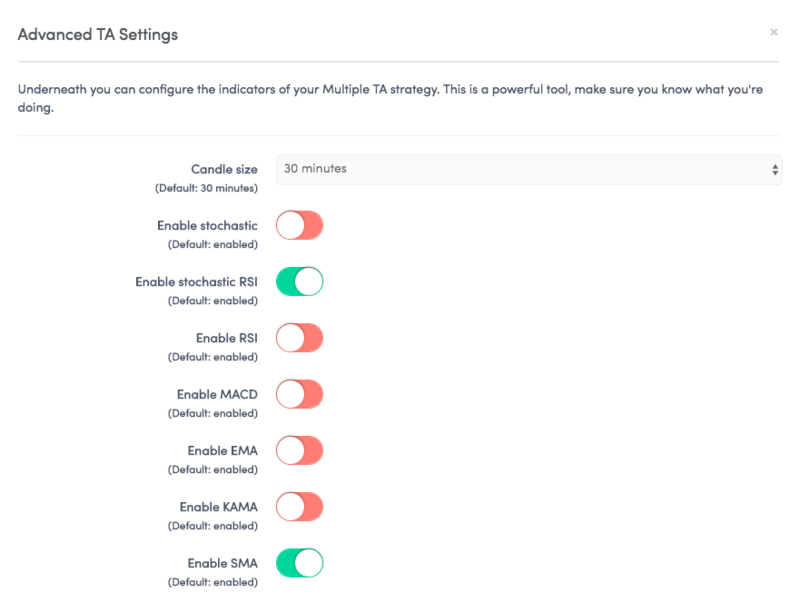 Click the advanced settings and adjust the strategy to your needs. If you’ve created a customized strategy that works for you, please share it on our forum. You’ll really make our community happy! How much profit do you want to make per Hop? Her you need to keep the exchange fee's in mind. Most of the exchanges have a fee of around 0.5%. So, the minimum percentage profit should be in the ballpark of 0.55%. It may be advisable to fill in a percentage range of 1 - 3%. You can also “Hodl” coins, meaning holding your coins for a longer period. Just switch off selling or fill in an extreme percentage profit amount. A nice feature for our users with a Pro package. Arbitrage refers to the process of instantly trading one or more pairs of currencies or odds for a minor risk-free profit. In the stock market, this is usually done between exchanges. 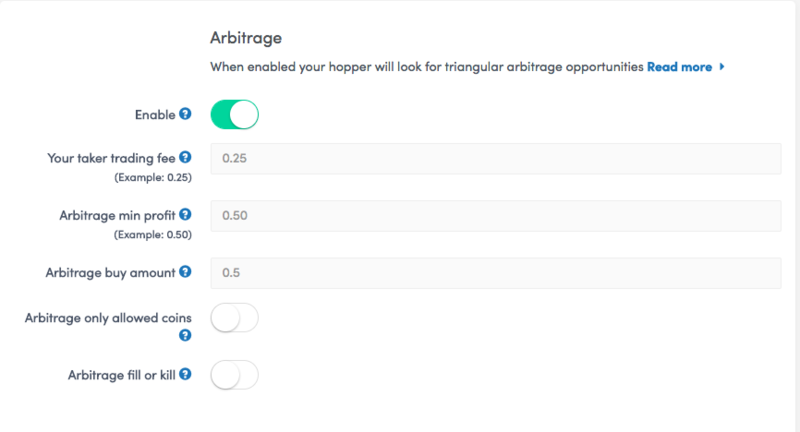 Yet, on our platform, you will perform a triangular arbitrage on one exchange. Bittrex and Poloniex are the best for Arbitrage trading, since they have a lot of coins pairs to trade with. The risk in this one is, that the arbitrage isn’t fulfilled and you’re stuck with coins you normally wouldn't want. Enable "Arbitrage only allowed coins" to arbitrage trade only with coins you've selected in your allowed coins list. Only use this option if you have some experience with trading! Your coins will be sold with a loss if they go lower than the percentage configured. This is an interesting option if you trade with the help of external signalers. When your hopper places an order, how long does it have to wait until it's fulfilled? When the time is over, it will remove the order and create a new order when the strategy tells it to. In this setting, you can adjust how much funds your Hopper should use per position. Watch closely that it matches your funds. If you select a minimum order of 100 dollars, but you have 99 dollars on your account, your Hopper will not have enough funds. Fill in how big your positions should be. 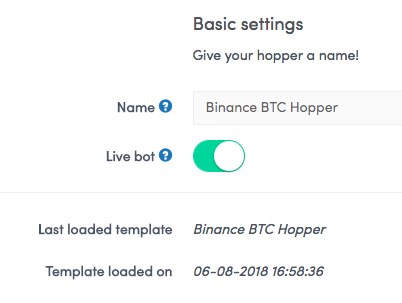 You can leave the Maximum allocated amount empty if you want your Hopper to use your total balance or type an amount you want your Hopper to use. In a nutshell, this is the brain of your Hopper. Do your best to get to know it and backtest your configs! The better you know it, the better you trades become! The basics are simple, but there are a lot of possible configurations. If you have a successful one, please share them on the forum. If you want more information about this subject, make sure you check our Cryptohopper Academy videoabout this subject.